BEIRUT A powerful jihadist rebel group has rejected the short holiday cease-fire proposed by the international peace envoy to Syria. Jabhat al-Nusra is one of the higher-profile jihadist groups fighting alongside the myriad other rebel factions against President Bashar Assad. Earlier this month, the group took part in an attack on a government missile defense base near the key northern city of Aleppo - an attack which left the rebels with a windfall of military hardware. There was another bomb attack on Wednesday even as speculation over the ceasefire made headlines. Syrian State TV said six people were killed by the blast in the south of capital, but gave few other details. 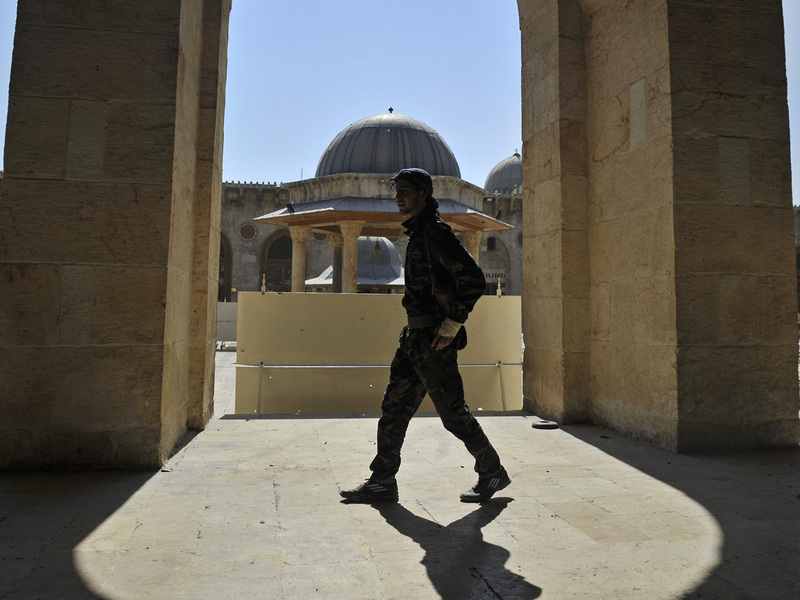 Syria's war: An opportunity for radical fighters? The militant group was unheard of until Syria's Arab Spring uprising began descending into a full-fledged civil war. Jabhat al-Nusra has claimed responsibility for several large-scale bomb attacks on Syrian government offices, including the July blast at the security headquarters in the heart of the nation's capital which left Assad's defense chief and brother-in-law dead. Analysts and officials have suggested that al-Nusra is linked to al Qaeda, and it is likely that militants who previously fought for al Qaeda in Iraq have crossed the border and joined the Syrian group. There has been no indication, however, that al Qaeda is linked at a command and control, or even a material support level to al-Nusra. While the Syrian government has yet to announce a formal position on the proposed Eid al-Adha ceasefire, the rebel group's preemptive dismissal of the temporary truce could scupper the deal before it is even formally agreed to. Both sides have agreed to earlier cease-fires only to thwart them with more attacks - with one of the key problems being the complete disunity of the rebel factions fighting inside Syria. The rebel factions range from moderate Muslims to the jihadist entities like al-Nusra, and they rarely see eye to eye on anything other than a call to oust Assad. CBS News correspondent Clarissa Ward, who reported recently from within Syria, says while the prospects appear dim for the Eid truce, the opposition militias are exhausted from the fighting, and many would welcome a break.